Sponsors: Xishuangbanna Tropical Botanical Garden, Ecological Evolution Lab, Key Lab of Tropical Ecology and Conservation. Course Fee: 1500 US$ (high-income countries/regions), 500 US$ (other countries/regions). Fee includes accommodation, food and local transportation during the course. Course fee is based on participant’s salary country, which is not necessarily home country. Fellowships: We have a limited budget for a few full fellowships (fee exemption + travel grant), and half fellowships (travel grant only), which will be awarded based on both merit and financial need. Course credits (new! ): AFEC-X has obtained accreditation from the Chinese Academy of Sciences (CAS). Graduate students from the Graduate University of Chinese Academy of Sciences (GUCAS) and institutes under CAS will receive two course credits towards their degree program, upon completion of the AFEC-X field course. About: This program is an intensive course in field research methods, research design, sampling and analysis designed for early stage graduate students and researchers in Ecology and Conservation. Participants will take part in established long term field monitoring experiments and further gain experience in independent project design. With guidance, participants will develop and present research proposals and further conduct field based data collection. The statistical program R will be introduced and used for the data analysis throughout the course. The course concludes with a symposium, where participants present results of course activities amongst their peers and instructors. The course is based mainly at XTBG, while excursions to different field sites in the region will be organized. 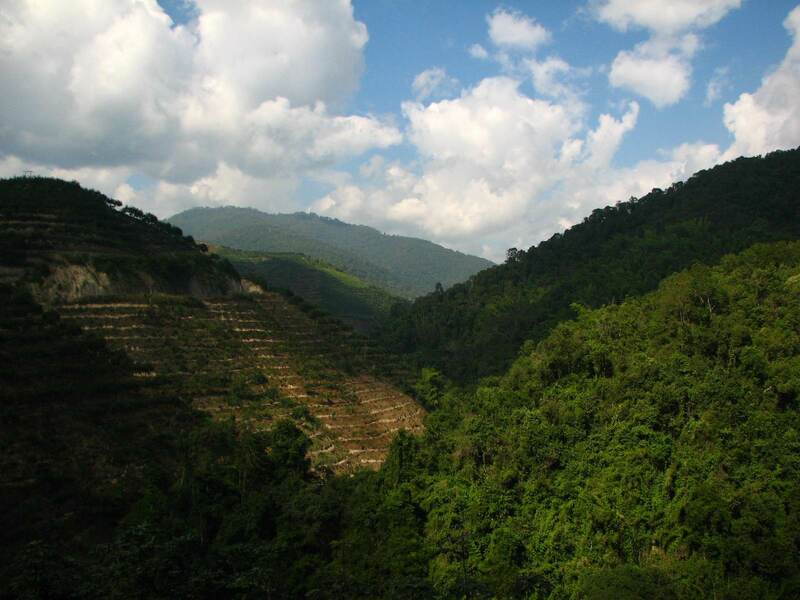 The independent research projects will be conducted in Mengsong, a Forest Reserve near the Myanmar border, which contains old-growth forest surrounded by different secondary forest types and famous Pu-er tea plantations. We will stay there for about two weeks, during which participants are expected to set up and carry out their own research projects under the supervision of experienced field ecologists. The last week of the course we will be back at XTBG where students can analyse their data and prepare for the presentation of their results during a one day symposium that closes the course. For more details, see Modules and People. Topics: Tropical Ecology, Eco-Physiology, Taxonomy, Evolutionary Ecology, Plant and Animal Interactions, Biodiversity, Conservation Biology, Invasive Species, Molecular Ecology, Soil Ecology, Plant physiology and more. Further discussions will look at how these topics are affected in human dominated landscapes.